Two members of Eglise Assemblee Evangelique de Christ were robbed at gunpoint in Haiti. The thieves got away with an estimated of $11,000 of church funds from two victims. One church member was robbed of about $6,000 and another $5,000. According to the pastor of Eglise Assemblee Evangelique de Christ, Dumont Pierre, they were in Haiti, to provide food to several families. Pastor Dumont Pierre stated that the two members were ambushed and robbed at gunpoint in Haiti of $11,000 of church funds. The stolen fund was raised by the church for the purpose of rebuilding another church in Haiti that was destroyed from the 2010 earthquake that killed an estimated 100,000 top 160,000 people, and feed children. 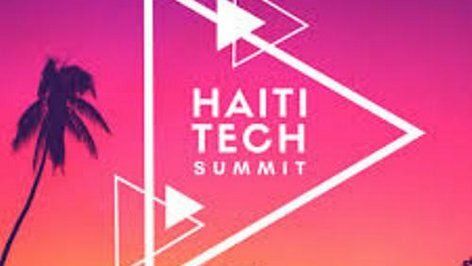 The Haiti Tech Summit is the largest gathering of entrepreneurs, innovators, and influencers in the Caribbean. This festival will highlights the importance of startup ecosystems to either create or disrupt industries across all disciplines, from agriculture to tourism, tech and more. For 2018 global summit, the central theme will be around catalyzing startup ecosystems in emerging markets. Taste of the Caribbean provides a forum for gathering practical information, developing skills, sampling, purchasing, strengthening, established supplier relationships and meeting new vendors, all on hand to help, Taste of the Caribbean will bring innovative and exciting educational sessions for food and beverage professionals that promise to enhance individual skills. Since 1993, the best chefs and culinary teams unite to learn, demonstrate their skills and provide the general public a scintillating exhibitor of the most savory and detachable treats of the islands. Taste of the Caribbean is the region's premier culinary competition and cultural showcase. One of the coolest film festivals in the world. Starting June 13 through 17, 2018, join our community of artists, executives and industry tastemakers who gather each year in Miami Beach to showcase emerging talent, celebrate Black culture and create opportunities for people of color to achieve success in the entertainment industry. Enjoy five action-packed days of red carpet premieres, master classes, celebrity conversations, tech talks, exclusive parties and more. ABFF is at the forefront of diversity in Hollywood and continues to inspire generations of new artists and storytellers! Be a part of this coming summer's hottest event. The American Black Film Festival (ABFF) is an annual event dedicated to showcasing quality film and television content by and about people of African descent. NOEL AND CECIBON PRODUCTIONS invite you to celebrate 20 years of The Haitian Compas Festival in Wynwood on Saturday, May 19, 2018. We are celebrating 20 years of music, 20 years of success, 20 years of culture. The 2018's Haitian Compas Festival will have your favorite top Haitian bands and artists on one stage. VIP tickets include complimentary food & drinks from 5-8 PM! Taste a wide range of delectable Haitian cuisine at the Taste of Haiti. Enjoy authentic eats, live music, dancing and more. This family-friendly event is free and open to the public. In lieu of admission prices, donations are accepted. Taste of Haiti brings to the community of South Florida a discovery of Haiti's Culture and flavors primarily through its food and all its cultural components. The festival offers a blend of the best of Haiti's cuisine, music and art. This is Shakespeare South Florida style! Fast paced drama from The Bard, Afro Cuban Dance and Music, and Visual Art. What if Florida was the backdrop for Romeo & Juliet and The Tempest-- Two Shakespearean classics--where lost kingdoms, dangerous romance and real mystery abound? Imagine no more! This American odyssey comes alive through an original script adapted by Florida playwrights with a diverse cast of talented local actors and dancers. Audiences will be treated to folkloric choreography and rarely heard traditional music by Afro-Cuban artists introduced through breathtaking images from acclaimed Iranian born Swede and South Florida resident Painter, Karl Momen. Momen has painted and published a series of works inspired by William Shakespeare and the orchestral masterpieces of Richard Wagner. Haitians Who Blog is an online community of Haitian content creators including, bloggers, vloggers, writers/authors, poets, and podcasters. Haitians Who Blog conduct monthly meetup in your respective city where bloggers can connect, share their ideas, and collaborate. The community focuses on promoting content creators while encouraging businesses to recruit content creators of Haitian descent. Grab your notepad/laptop and gather your friends to learn more about the content creators in the Haitians Who Blog community. Mr. Hubert Seaton needs a liaison in Haiti. Preferably a young female student that speaks English. I will pay her 40 us dollars a month to make contacts for me. To talk to people and send information via teleconferences. This will increase as I do business in Haiti. Two Haitian students at Columbia University will be on the discussion panel to talk about Haiti, TPS, DACA, human rights, racism, and education to name a few. So please help me spread the word and come support them, if you can. See details below.. Followed by a small reception.